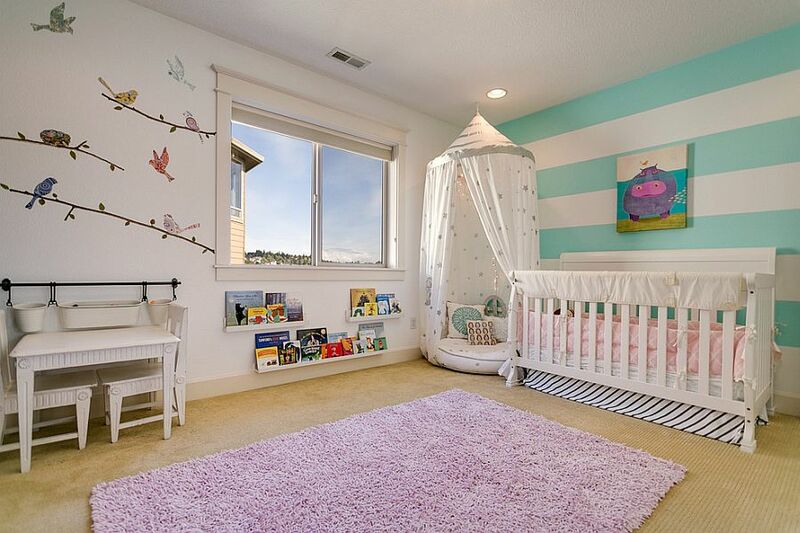 If you have spent any amount of time around little ones, you will immediately realize that the hardest thing to accomplish is to hold their attention for any considerable period of time. 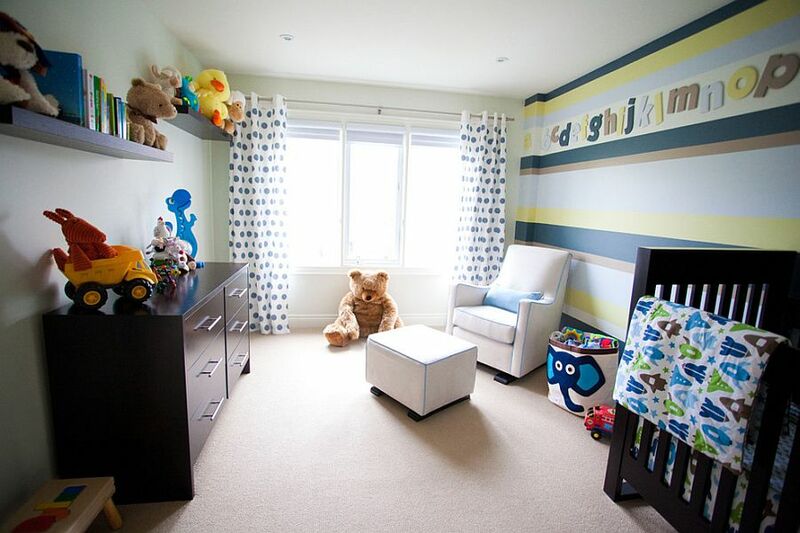 Constantly seeking out new sights, sounds and experiences, even experts agree that a mundane and static room could bore a kid within a few days. 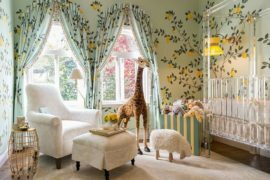 This obviously means designing a gorgeous nursery that is both soothing and interesting at the same time is a challenge that requires creativity and continuous improvisation. 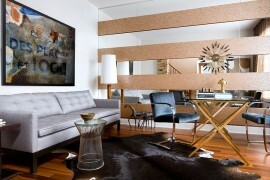 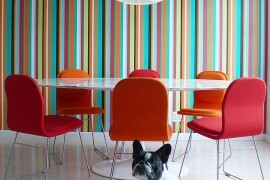 It is in this setting that striped walls become a huge plus, as they bring color, contrast, pattern and a whole lot more. 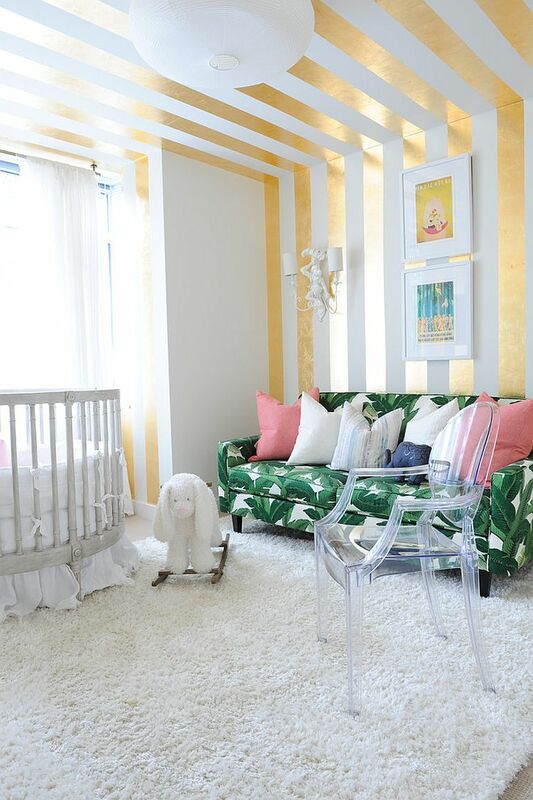 Striped walls in the nursery can range from the exotic and exciting to the simple and elegant. 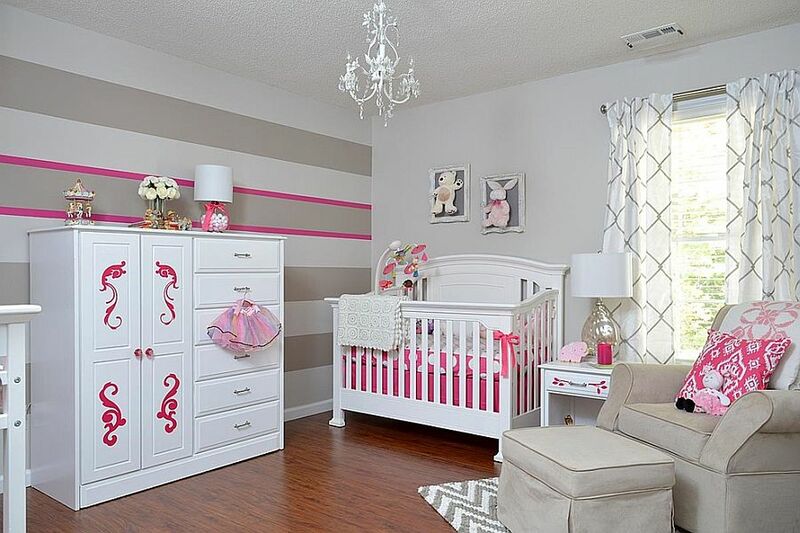 Irrespective of which path you wish to take, they offer you a wide array of choices in design, size and color, allowing you to come up with endless combinations. 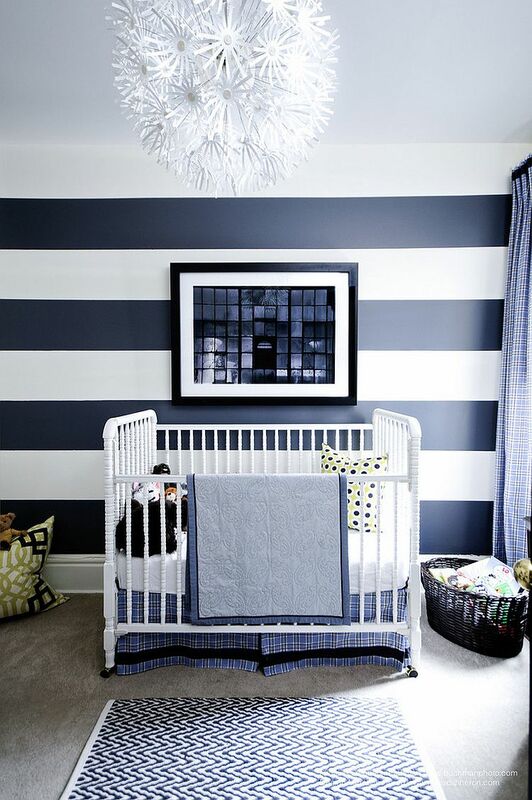 And the best part is that a carefully planned nursery with stripes will grow along with your baby boy or girl and evolve into a cool kids’ and teen room as well. 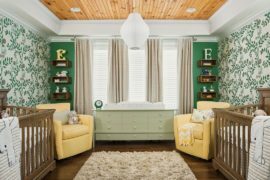 While babies might not recognize all the individual colors in the first few months, soon it will be the brighter and bolder hues that will . 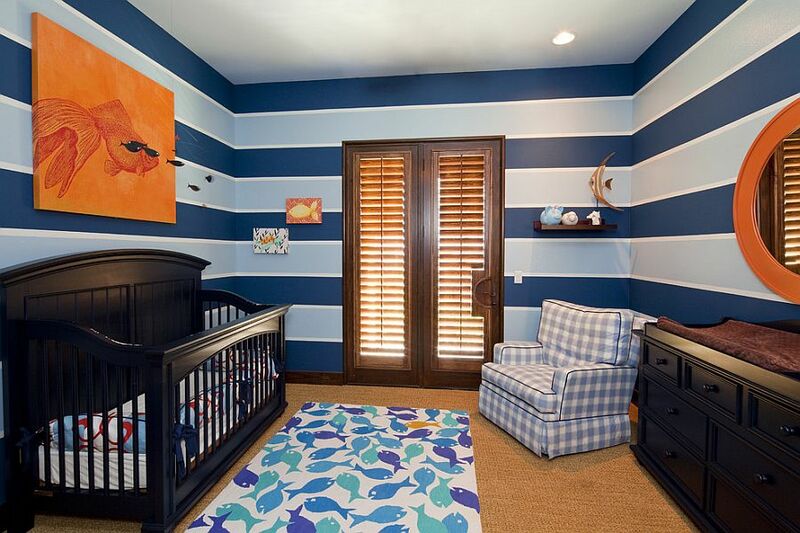 While too much color is never advisable in a nursery, a lovely striped wall featuring bright yellow, blue, red or even green stripes makes a huge difference to the overall ambiance. 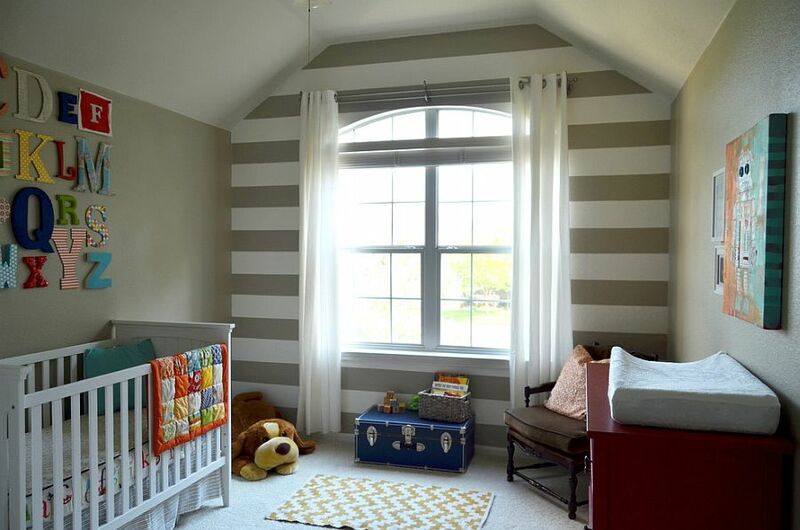 Obviously one can couple the bright stripes with those in simple, muted hues to create that contrast that your bay will be drawn to. 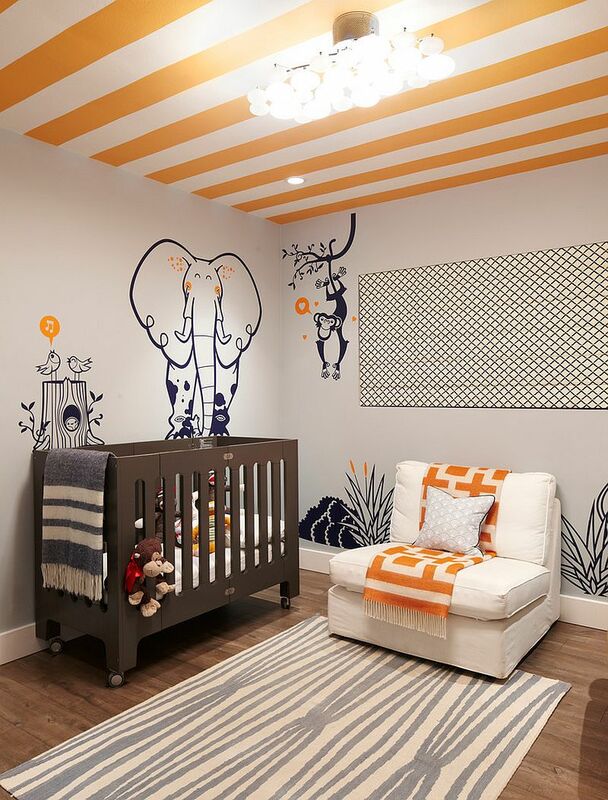 Whether you want to use just a couple of striped walls or wish to extend them throughout the room depends on size of the nursery, chosen style and your own design sensibilities. 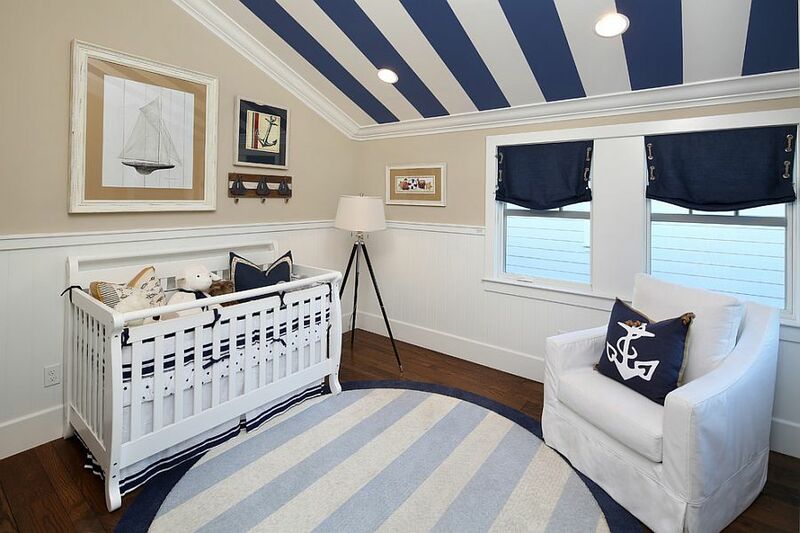 For some reason, it is always the horizontal stripes that seem to be more popular than their vertical cousins in most modern homes. 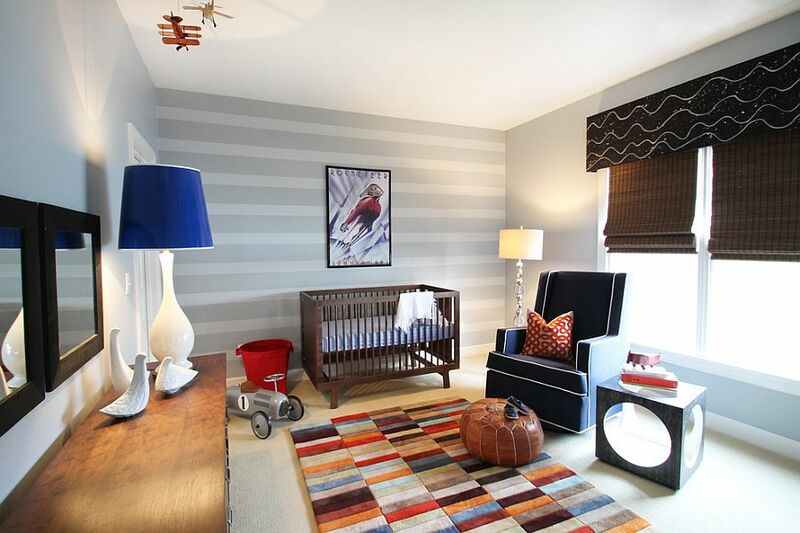 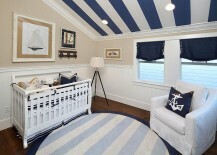 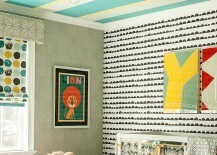 But do not underestimate the value of cool, vertical stripes in a nursery where space is limited. 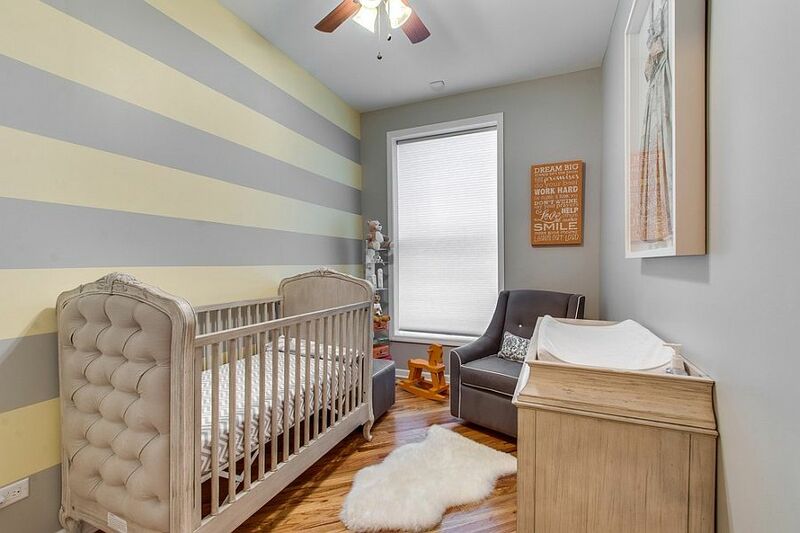 These stripes give the room a more roomy appeal visually, and they also create a beautiful focal point when used as an accent feature. 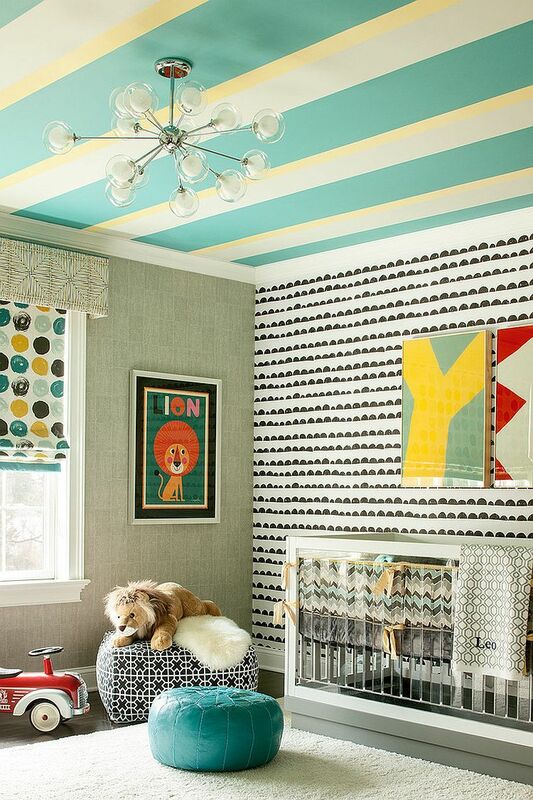 But for those who want to go well beyond the walls, a striped ceiling is another fun option, and considering the amount of time your kid would be spending looking at the ceiling, this is definitely a practical substitute to the striped wall. 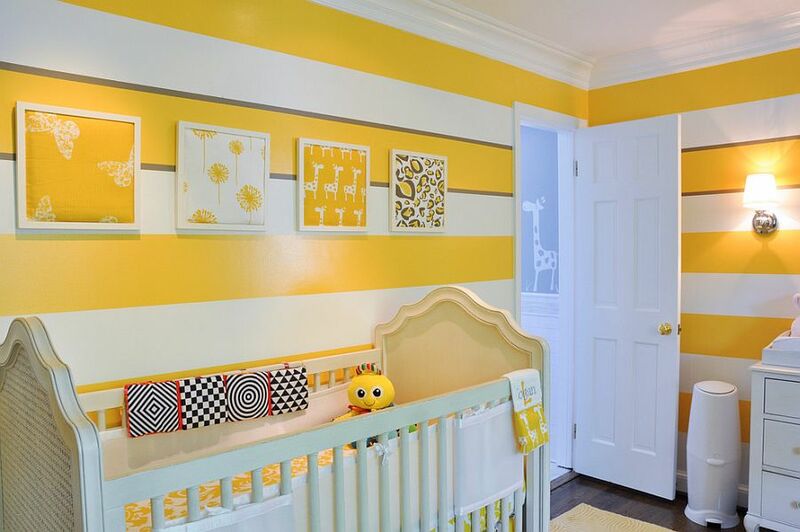 The striped feature wall is a popular addition that is often used in living rooms and bedrooms, and its charismatic appeal should hold sway in the nursery as well. 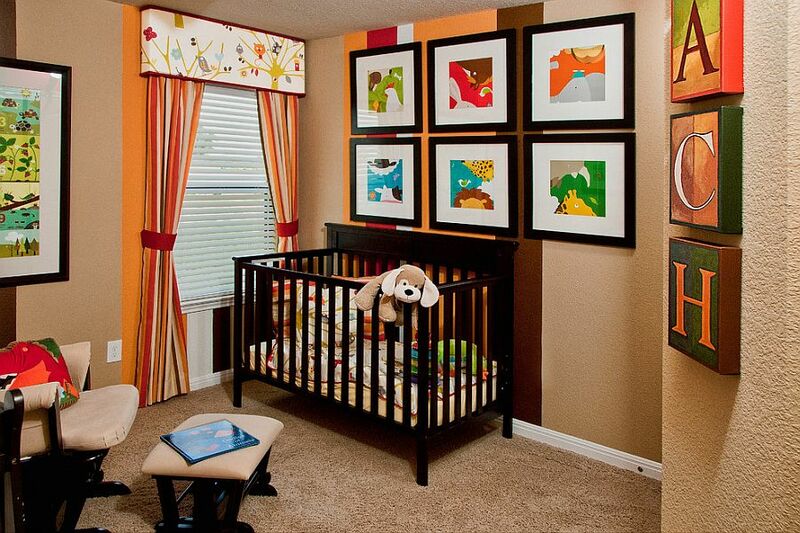 In the case of the accent wall, keeping the other walls in the nursery as neutral as possible allows it to make the most impact. 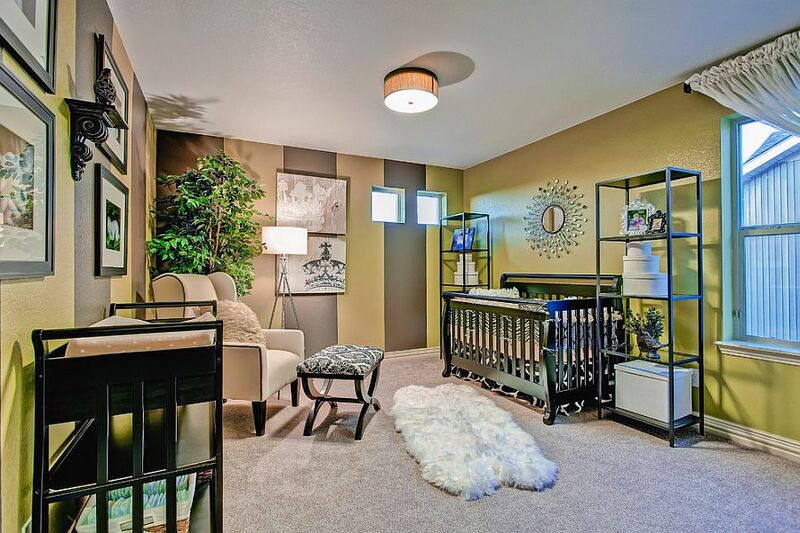 Also, the choice for the accent wall should be determined by the placement of the crib, as there is little point in having a fun, colorful feature that your little one barely gets to look at! 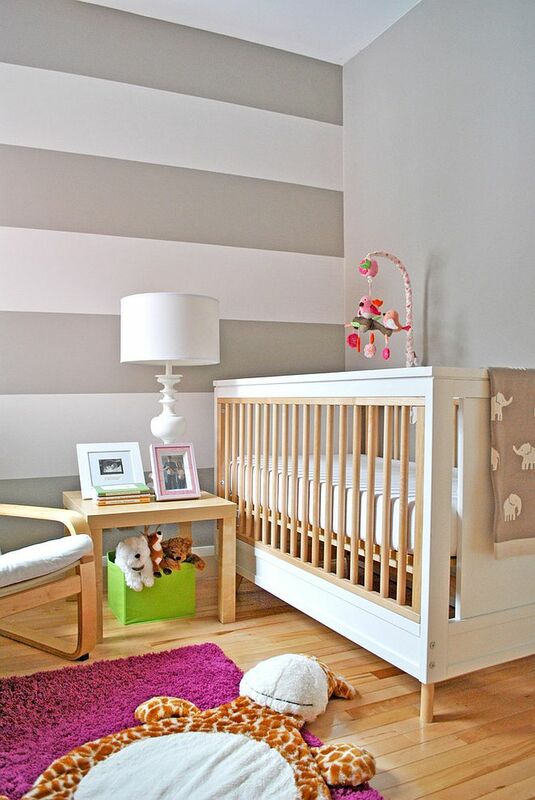 A safe choice that never fails, the snazzy striped feature wall can be used even in the smallest of nurseries. 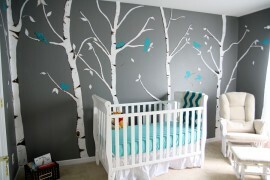 No, we are not alluding to gender neutral nursery designs here. 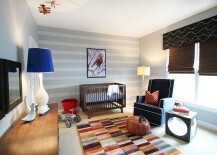 This is all about using cool neutral colors to shape even the accent wall in the modern nursery. 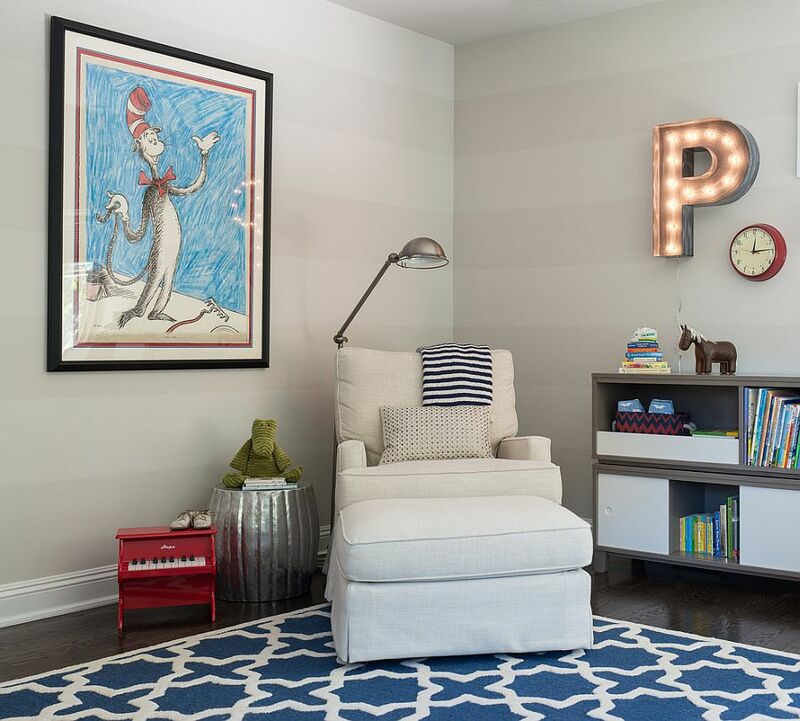 While this might seem a bit too bland right now, this gives you a chance to use the nursery also as a guest space or shared kids’ room. 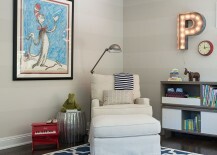 Subtle color differences or even a change in tone of same color is all you need here, and this provides you with a neutral yet exciting backdrop that lets the colorful artwork, décor and toys in the room shine through. 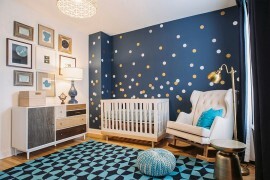 25 Brilliant Blue Nursery Designs That Steal the Show!